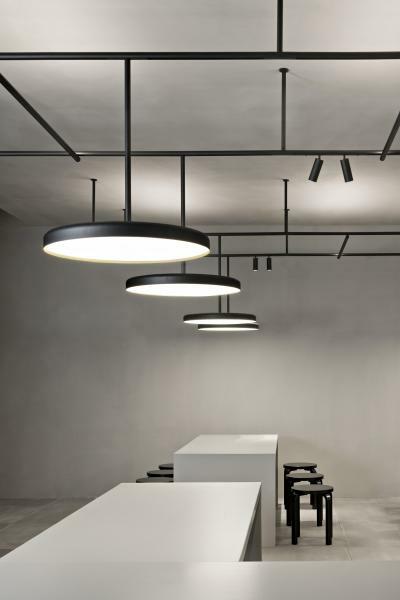 Lighting manufacturer Flos Architectural has added a new Smart Control system to three of its customizable collections. The new lighting control system was created to manage the adjustment of hard-to-reach spotlights hung at a height. It also allows homeowners to position and control spotlights through a mobile app, changing a room’s ambience as necessary. The manufacturer’s Infra-Structure collection is the newest to feature the Smart Control system. Designed by Vincent Van Duysen, the collection is a reinterpretation of the Bauhaus aesthetic, with a modular exposed tube that can be configured in endless combinations. The associated LED fixtures include lighted tubes and spotlights, as well as disc-shaped and a glass cup-shaped pendants. It’s available in black or white extruded aluminum. Running Magnet 2.0 and Tracking Magnet, the other two compatible collections, both include fixtures that attach to a track magnetically. 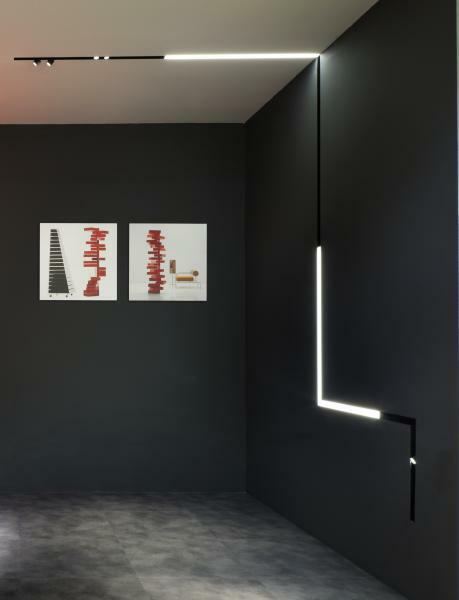 Thin extruded aluminum tracks can be recessed into plaster walls and ceilings to hold lights. 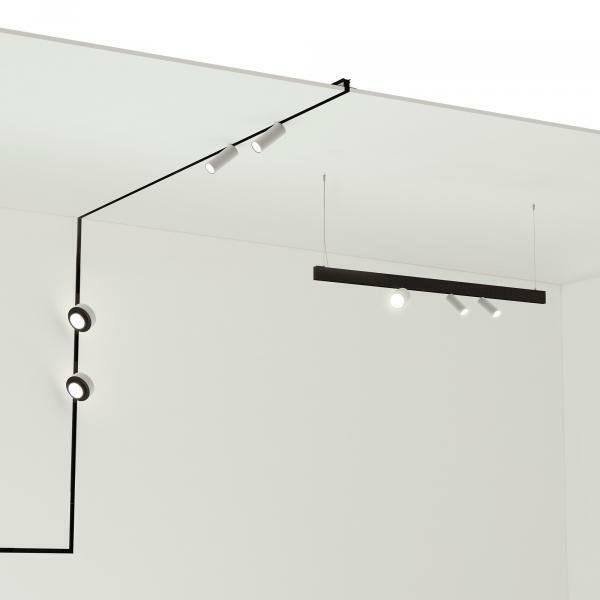 Linear suspended fixtures are also available in both collections, and both can be finished in black or white. LED fixtures for the Running Magnet 2.0 collection include magnetic LED light strips and spotlights that can be attached to hanging or mounted tracks. They also include coordinating hanging lamp accessories. The Tracking Magnet collection includes a variety of LED spotlight shapes and sizes that can be attached to hanging or mounted tracks.